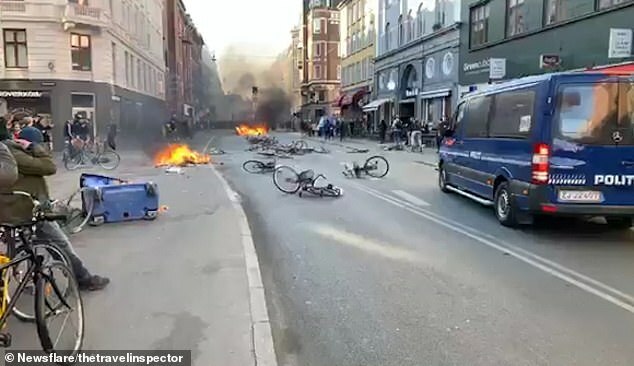 Extremist politician Rasmus Paludan – who wants Islam banned from Denmark – had thrown the religion’s holy book into the air several times in Noerrebro, an immigrant-heavy district in the Danish capital. This appears to be the incident that sparked it all. Another clip of the same incident.